The Treniers were one of the most important links between the big band sound of the 1940s and the jump blues jive of the 1950s. The Trenier brothers, Clifford and Claude are true “architects” of rock n’ roll, but they never get the credit that they rightfully deserve. This week, Harlem’s Matt The Cat is gonna dig through stacks of Treniers’ wax and pull out their greatest sides for you hep cats and crazy kittens. Don’t miss this week’s HARLEM on the 50s on 5. Matt The Cat welcomes Jerry Naylor to a special edition of Rockabilly Thursday. Jerry has produced a great documentary on Rockabilly music called “The Rockabilly Legends”. Jerry will be live in the satellite and share some great stories about all the hep cats and crazy rockabilly chicks that he’s known over the years. He was great friends with Carl Perkins, Gene Vincent, Eddie Cochran, The Burnette Brothers and many more. This will surly be a Rockabilly Thursday to remember. 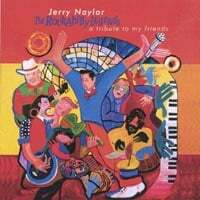 For more information on Jerry Naylor’s Rockabilly Legends DVDs and CDs, please click HERE! The Big “O”, Roy Orbison had the most beautiful, powerful and versitile voice in all of rock n’ roll and on Monday Night we honor this legend on what would have been his 71st birthday. You’ll hear Roy tell his own story in his own words through incredible archival footage as well as the great music he recorded from the mid 50s to the mid 60s. We’ll pay particular attention to his rockabilly roots. Don’t miss Roy Orbison on the Night Prowl Show!